Welcome to India - Budget Travels & Tours (P.) Ltd.
India as all of us know is a very large country with diverse cultures and fascinating change of race, color, creed and places as we broadly travel across it. Most people however fancy India as a hot country with only places of historical importance and fantastical legends. What however is mostly undermined is the fact that India also boasts of various trails that offers and wonderful peek towards the Himalayan ranges and much more. There are various trekking routes in India; all of them spread across the country be it in North India or North East India. It is important to note that these trekking trails however are filled with very different experiences compared to each other. While the most popular of them being the Garwal trek, Darjeeling and Arunachal Pradesh too brags a legacy of a trail being followed by hikers all over the world for more than five decades. Uttaranchal became the 27th state of the Republic of India on the 9th of November 2000. The State is carved out of Uttar Pradesh. It occupies 17.3% of India's total land area with 51,125 sq. km. It has a population of about 6.0 million at 94.4 per sq. km. It borders Tibet, Nepal, Himachal Pradesh. It lies North West of the state of Uttar Pradesh. Uttaranchal is a part of the Western Himalayan ranges starting from the Shivalik foothills to Greater Himalayas with Tibet as its northeastern border. In the northwestern corner of the state is Himachal Pradesh, while Haryana celebrates its union with the newly formed state with a gentle kiss. The state is surrounded by Uttar Pradesh for most of its western and southern boundary. Broadly, Uttaranchal can be divided into two main parts, mountainous and hilly regions, foot hills and Bhabar and Tarai region of plains. The total geographical area of Uttarnachal (excluding Hardwar) is 51, 125 sq. kms., making border with Himachal Pradesh in extreme West, Tibet-China in North, Nepal in East and the plains districts of Uttar Pradesh in the South. The hilly part of Uttaranchal constitutes 98% of total reporting area, out of which alone forest area constitutes approximately 70% per cent and agriculture area is approximately 11 per cent. The rest 19 per cent area comes under miscellaneous categories. From the administration point of view Uttaranchal is divided into 13 districts (4 being constituted only in 1997), 39 tehsils and 89 development blocks. Apart from the Tarai region in the Shivalik foothills, the entire state of Uttaranchal is a part of the Himalayan ranges. At 7,817 m above sea level, Nanda Devi in the district of Chamoli is the highest point in the state. The region has many glaciers, passes, meadows, and trekking routes with several major rivers like the Ganga and Yamuna originating from here. A major part of this Himalayan state comes under rainforests and alpine forests that are home to some of the highly endangered wildlife species. The state has two distinct climatic regions: the predominant hilly terrain and the small plain region. The climatic condition of the plains is very similar to its counterpart in the Gangetic plain-that is, tropical. Summers are unbearable with temperature going over the 40?c mark and a lot of humidity. Winters can be chilly with temperatures going below 5?c at times. The Himalayan region has Alpine conditions characterized by cold winters with snowfall for quite a long time, good rainfall in the monsoon, and mild summers. This climate also provides the state with its only livelihood, i.e., tourism. The earliest known inhabitants of the region were tribals called Dasas. Later, Aryans came and they assimilated in the tribes. In the later centuries, the hill chieftains accepted suzerainty of the Mauryan empire, the Kaushans, the Guptas and Kanuaj rulers. During the Mughal period, the Rajas of the hill states made some mutually agreed arrangements which governed their relations. In the 19th century, Ranjit Singh annexed/subjugated many of the states. When the British came, they defeated Gorkhas and entered into treaties with some Rajas and annexed the kingdoms of others. The situation more or less remained unchanged till 1947. After Independence, 30 princely states of the area were united and Himachal Pradesh was formed on 15th April, 1948 . With the recognition of Punjab on 1st November, 1966, certain areas belonging to it were also included in Himachal Pradesh. On 25th January, 1971, Himachal Pradesh was made a full-fledged State. 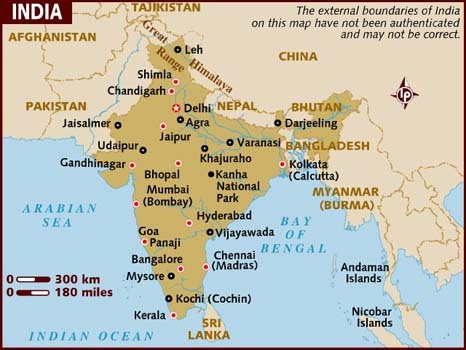 The State is bordered by Jammu & Kashmir on North, Punjab on West and South-West, Haryana on South, Uttar Pradesh on South-East and China on the East. The area of state is 55673 sq kms. The capital is Shimla with a population of urban agglomerations 110, 360. The Temperature varies from 40?c in plains during summer - 20?c in the Alpine zones during winters. Rainfall varies from 152 cms to 178 cms in outer Himalayas.